Chiropractic AND Whole Food Concentrate Nutritional Therapy is greater service than either chiropractic or nutrition alone. The difficulty is integrating them together and making it fun and easy-to-do. The TNE-Basic Manual for Chiropractors is the first step toward integrating chiropractic, whole food concentrate nutritional support and patient education into a coherent and easy to reproduce quality of care system. I have been in practice and a consultant to doctors for many years and been the willing student of some of the best mentors in the healing arts. 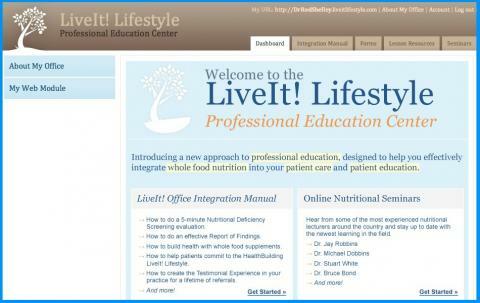 Regardless of what size practice or how many years in whole food nutrition you have, the information in this manual could earn you the right to serve hundreds and perhaps thousands more patients in your practice lifetime. This service, naturally will add to your bottom line. The intention of this basic manual is to provide you an invaluable skill set of Essentials to success in practice. Its purpose is not to expand on every subtle nuance of practice dynamics, communication and procedure. Those are a matter of private consultation as each practice is uniquely different. Proper education is a valuable, essential adjunct to your care. The proper effective use of patient education will help you to better fulfill your noble purpose, that is, to serve humanity through chiropractic, whole foods and whole food concentrates. Commit patients to the path of whole food common sense. Stay on the patient’s mind with periodic mailings and communications. Following the principled steps outlined in this manual will result in health for your patients and build the health of your practice. Consider this manual an adjunct to you and your staff’s education. Read and experience the sections then reflect on them. Consider meeting with your staff and discussing how you can best integrate these steps to better serve your patients, their families, friends and coworkers. Take an approach that each person you teach will learn and live the nutritional essentials in such a way that they attract another to enhance their health in your office. Enjoy this “journey” and invite others to join you – it is fun and easy to do!